We’d love your help. Let us know what’s wrong with this preview of The New Complete Book of Self-Sufficiency by John Seymour. 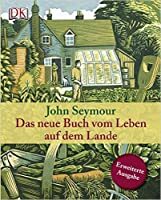 The new edition of this enduring classic from John Seymour, the founding father of modern self sufficiency, is the key reference to sustainable living off the grid. This timeless guide features practical small holding know-how, including sections on organic gardening, harnessing solar energy, and keeping chickens, as well as step-by-step guides to key skills like foraging, preserving food, and making your own homebrew. 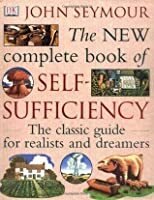 To ask other readers questions about The New Complete Book of Self-Sufficiency, please sign up. This book includes the phrase "The first lion I ever shot..." THE FIRST. And he was just talking about making soap. My all time favourite book that is on my to read another day shelf. Packed with knowledge about complete self sufficiency in the garden. From growing fruit and veg to keeping livestock. Really love this book it is a treasure trove of information. This book covers absolutely everything, with detailed diagrams, from making bricks to slaughtering pigs :(, from building a windmill, to choosing and eating wild plants, milking goats, managing springs, arranging a workshop for maximum efficiency...I could go on. This is an absolute bible for anyone seriously interested in "doing it themselves." Although I marked this as read, I'll be reading this for years. It'll sit on the shelf alongside my very battered, very loved, How to Cook Everything. This book is wonderful first primer in this fascinating subject. It is full of invaluable information and wonderful anecdotes. Beautifully illustrated and a wonderful addition to my library. Loved the contents, but even for its size, I wish it went even deeper on the details of everything. Probably this is only due to me being content-facts-numbers thirsty and if it was like that it would probably bore other people. I love the images and drawings too, it sure shows the love we feel for the country. The Bible of self-sufficiency! It goes in depth about everything you want to know about the subject. Yes, it’s a little old, it was written in the 70s. But it’s better, I think, to see how things were done when we were slightly less dependent on non-renewable resources. As far as I know, there is no other book on the subject that does a better job than this one. It’s a shame though that there is such an extensive chapter on slaughter. I feel like self-sufficiency can more easily rely on legumes a The Bible of self-sufficiency! It goes in depth about everything you want to know about the subject. Yes, it’s a little old, it was written in the 70s. But it’s better, I think, to see how things were done when we were slightly less dependent on non-renewable resources. Awesome reference. It got a bit bogged down in the gardening section for those of us not gardening in UK soil/climate/prevalent pest conditions, but in general, Seymour has some impressive skills at succinctly summarizing what you need to know to get started in disciplines that have few remaining craftsmen to apprentice with and might take decades to fully master. One of my favourite books. Truly inspiring, especially in terms of how much can be achieved in a small area. I'd recommend it to anyone considering home/farmsteading, or to those who are already doing it and want to up their game. This was, in fact, the original "Good Life" book and very much a breakthrough in writing about self-sufficiency. This is the updated version, which stays very true to the original philosophy - in fact, not that much has changed at all except for the fact that some sections have been updated to fit our newer, more modern lives. This is the first book we bought on self-sufficiency and it's really the only one we still refer to! I would recommend it to anyone who wants the good life - either complet This was, in fact, the original "Good Life" book and very much a breakthrough in writing about self-sufficiency. This is the updated version, which stays very true to the original philosophy - in fact, not that much has changed at all except for the fact that some sections have been updated to fit our newer, more modern lives. 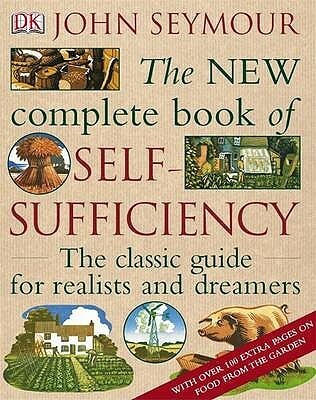 This is the first book we bought on self-sufficiency and it's really the only one we still refer to! I would recommend it to anyone who wants the good life - either completely, or just choosing aspects of it that will fit with their life. When I was in England over the summer, I stayed at my friend Jamie's house, which was a little cottage in the New Forest. I admired his vegetable plot, and he showed me this book, and we talked about building a dry toilet, and he demonstrated a tool that he'd made himself that was a replica of a tool that they used in the Middle Ages and that you can use to make chair legs and bedposts. Jamie is great. This book is truely a complete book of how to become self sufficient. It has been and still is very helpful to me and anyone who wants to be self suffient regardless of to what extend should definitely read this book. This book is crazy - everything you need to know about surviving off of what you can produce yourself. It's not something you can sit down and just read (well, I guess you could, but it's a lot of info.) I'm excited to study from it more. Wow. This book is probably the most informative piece of literature I have ever read. It's like the handbook on "How to Live a Fulfilling Life." I think everyone, at some point in their lives, should read it. A classic on self-sufficiency. Has lots of chapters on meat - if you're a vegetarian, only a few chapters of this book will be useful - for example, the chapter on food preserving. This was a library copy and I must buy one for myself, it's the kind of book one wants to annote, one that will take some wear-and-tear. A great resource. John Seymour was an idealist - he had a vision of a better world where people aren't alienated from their labours. As a young man, he travelled all over Africa and fought in Burma in World War II. Returning penniless to England, he lived in a trolley bus and on a Dutch sailing barge before settling on a five-acre smallholding in Suffolk to lead a self-sufficient life. He continued this lifestyle w John Seymour was an idealist - he had a vision of a better world where people aren't alienated from their labours. As a young man, he travelled all over Africa and fought in Burma in World War II. Returning penniless to England, he lived in a trolley bus and on a Dutch sailing barge before settling on a five-acre smallholding in Suffolk to lead a self-sufficient life. He continued this lifestyle with his companion Angela Ashe on the banks of the River Barrow in County Wexford, Ireland. The two had built up the smallholding from scratch over 19 years. In his last years John, Angela and William Sutherland had been running courses in self-sufficiency from their home at Killowen, New Ross. The courses were taken by students from all over the world, who come to Killowen to learn about his lifestyle and philosophies at first hand. He was the author of over 40 books, including the best-selling The Complete Book of Self-Sufficiency, and he had made numerous films and radio programmes. Most of his later writing and public campaigning had been devoted to country matters, self-sufficiency and the environment.